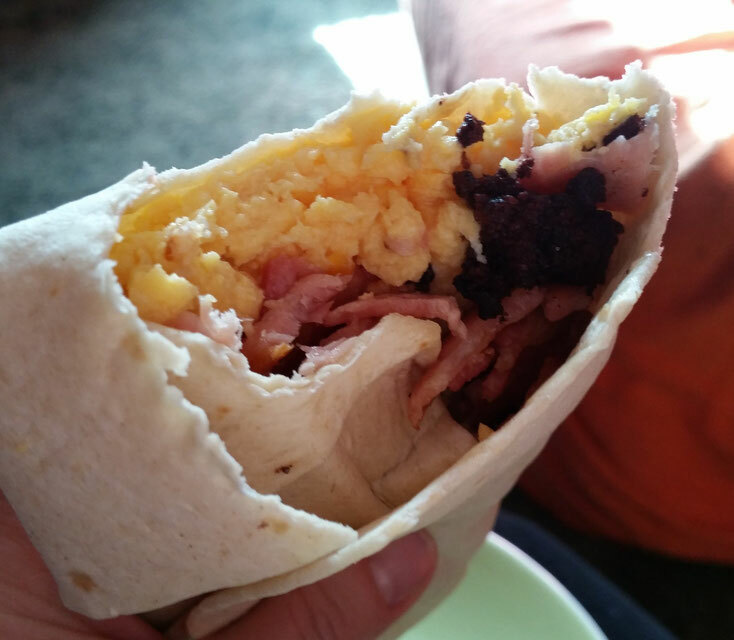 I came up with this idea after watching yet another episode of Man V Food! I loved the idea of wrapping up all those delicious breakfast goodies in a lovely soft tortilla & what a nice change it would make from regular sliced bread. 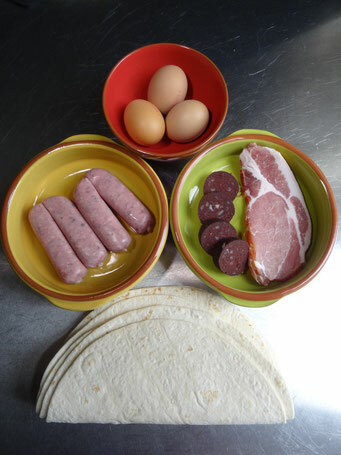 The best thing about this is that you can put in whatever combo you like-my personal favourite is egg & sausage! 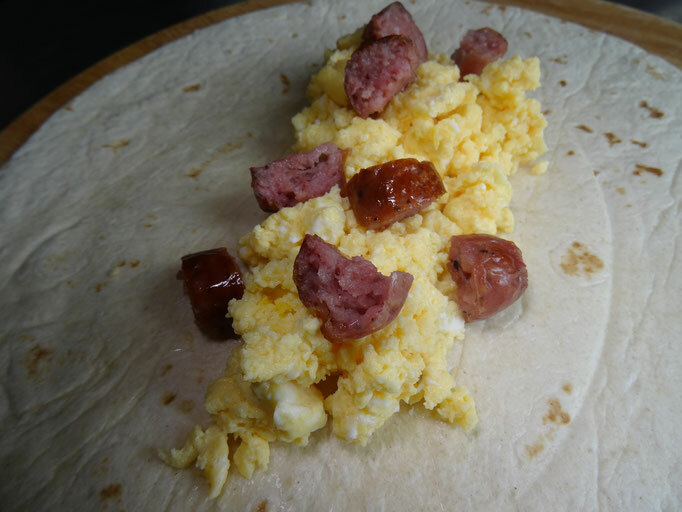 I have the eggs scrambled as I think they work better in the tortilla but of course you can choose to do them any way you want to! 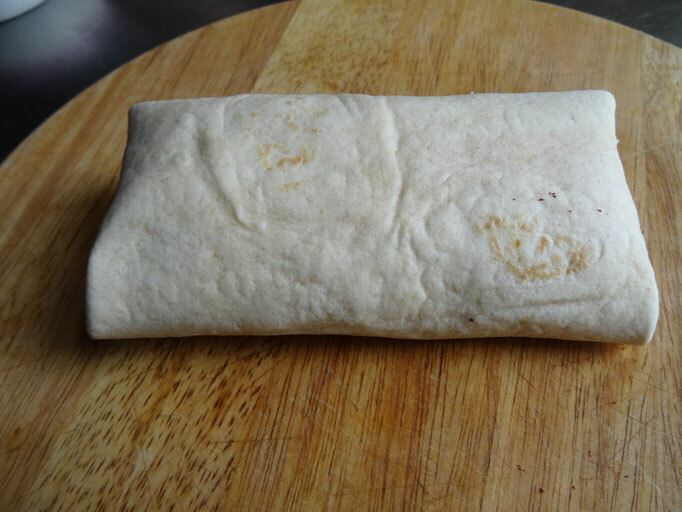 I haven't done a costing for this as it really depends on what you choose to put in, however you can buy a pack of 8 soft tortillas for £1 so start from about 12p per person then add your fillings! 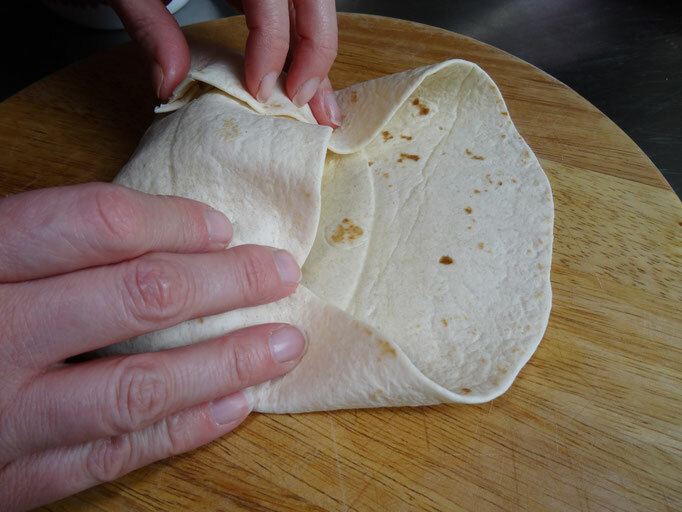 Once you have chosen your fillings & cooked them to your liking take a tortilla & place it on a board. Put your filling in the centre & roll up the tortilla from the bottom, tuck in the sides & then fold over.